Ryan fell ill on the 14th Oct (Thursday) with a fever. His fever was very high that night, 39.xC and when his temp did not subside after sponging him and Neurofen, I had no choice but to administer suppository at around 10pm. He cried and said it was painful. My poor boy. Luckily at this age, he’s more understanding and he knows it’s something we had to do to make him feel better. 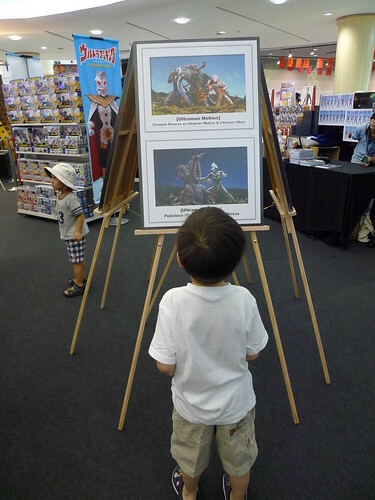 I consoled him saying if he gets better, I’ll bring him to The Mines for Ultraman mini exhibition. On Friday, his fever kinda went away after another dose of Neurofen.Â He kept checking on the time and asked me to get ready. He was really looking forward to the session. He’s been a fan since he was 2. 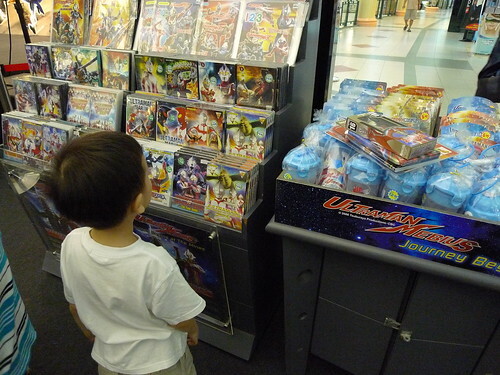 So I brought him to The Mines as promised to see his superhero. 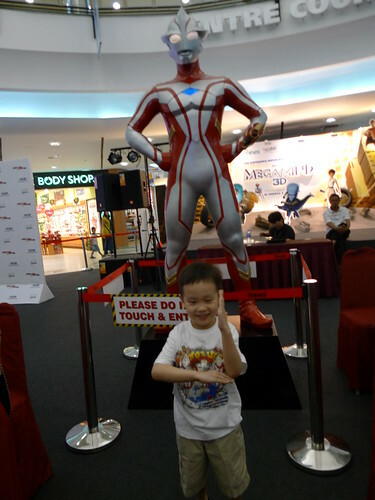 must be his super favorite..:) i think you need to buy a few ultraman T-Shirts..
but Ryan has definitely grown alot.. i think much taller now and slowly losing the baby fat..
the didi is super cute la.. ahhaha..